Engine overheating causes a major issue for motorcyclists during long rides and also while stuck in traffic for long hours. There are certain that cause the Motorcycle engine to overheat and irritate you with the heat you cannot tolerate. Motorcycles with air cooled engines are the most to suffer. Liquid cooled engines have coolant running in and out of the engine keeping them cool and a radiator fan to keep the radiator from heating up and failing to cool the engine efficiently. 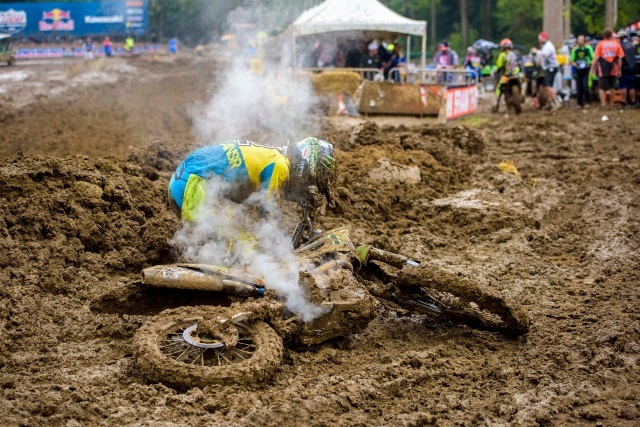 Let us first look into the causes of why most motorcycles suffer from overheating. Initial start: When you crank up your motorcycle to leave for work everyday, please do not over rev the motorcycle as soon as you start it. Keep the engine at idle for a few minutes and let the engine oil do its job. 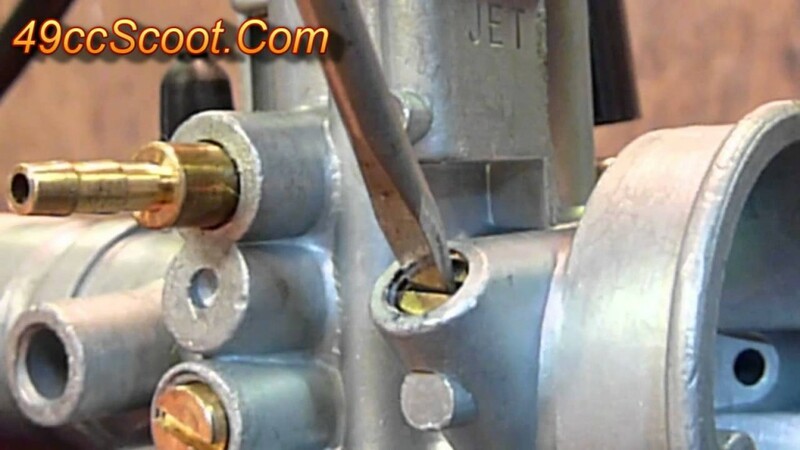 This process is called engine warm up and doing this will keep your motorcycle’s engine healthy. 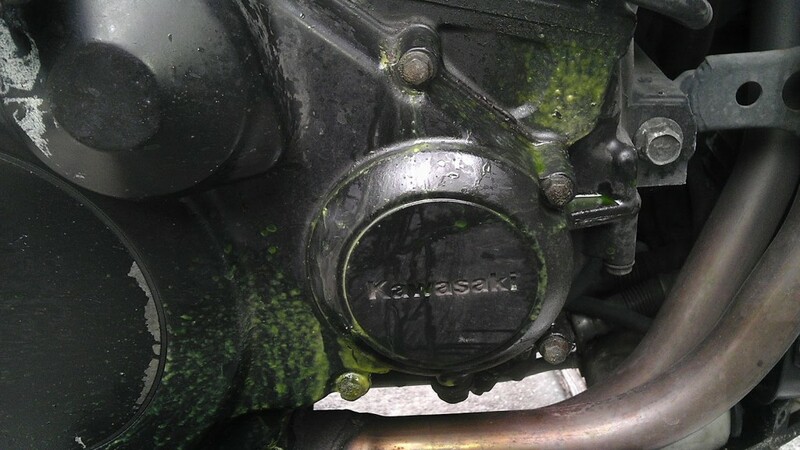 Carburetor setting: The mixture of air and fuel entering the engine cylinder must be correct in order to overcome overheating of the motorcycle. If air/fuel mixture entering the engine is lean then there are chances of your engine overheating. So setting the carb to give a perfect mixture is really important. Engine oil check: Always keep your engine oil at check to overcome engine overheating. Low engine oil will lead to inadequate cooling of the engine. Engine oil must be changed at correct intervals for a healthy engine life. For an air cooled engine, the engine oil must be changed for every 3000 kms to keep the engine running healthily. 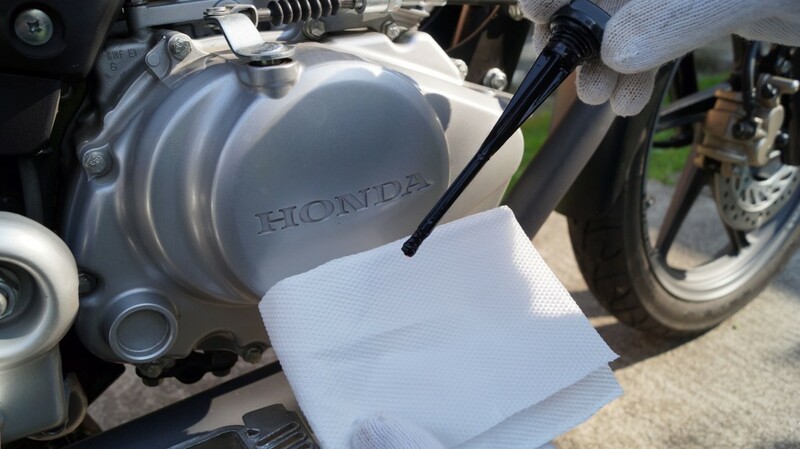 Coolant check: Liquid cooled motorcycles come with a radiator setup which circulates the coolant inside the engine to cool the engine effectively. Proper coolant capacity and a perfect mix of the coolant with distilled water makes way for efficient cooling. Faulty radiators and radiator fan: Radiator is a part which circulates coolant into the engine. The coolant when circulated, carries all the heat. 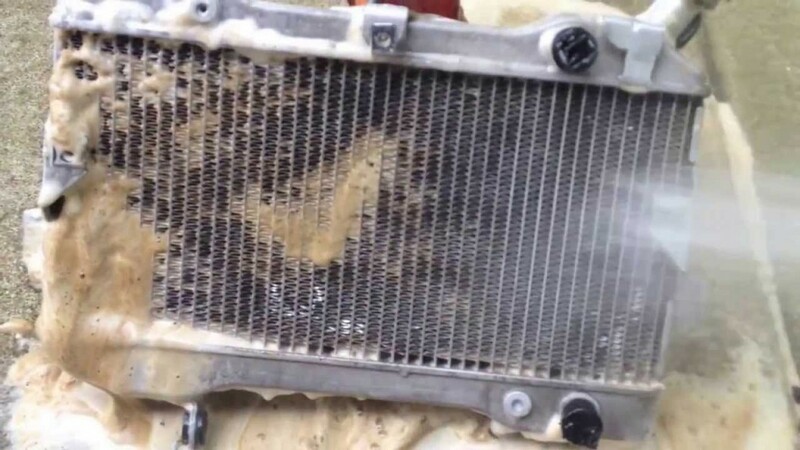 If the radiator is covered with dust and waste particles, the heat dissipation will not be complete and the coolant will not cool enough to enter the engine again. Keeping the fins of the radiator clean is a very important part to aid for better cooling. Radiator fans are used to cool down the coolant in the radiator when the motorcycle is stand still and the coolant temperature exceeds. Improper functioning of the fan leads to consequences. 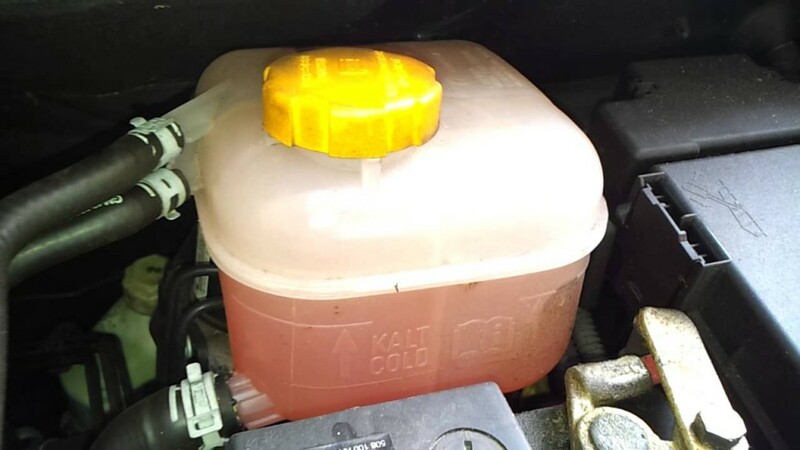 Coolant leak: Make sure the coolant level is correct at all times. If the level of coolant is below the recommended level, immediately top it up by adding distilled water to avoid heating problems. Fix the leak, if any and continue riding. 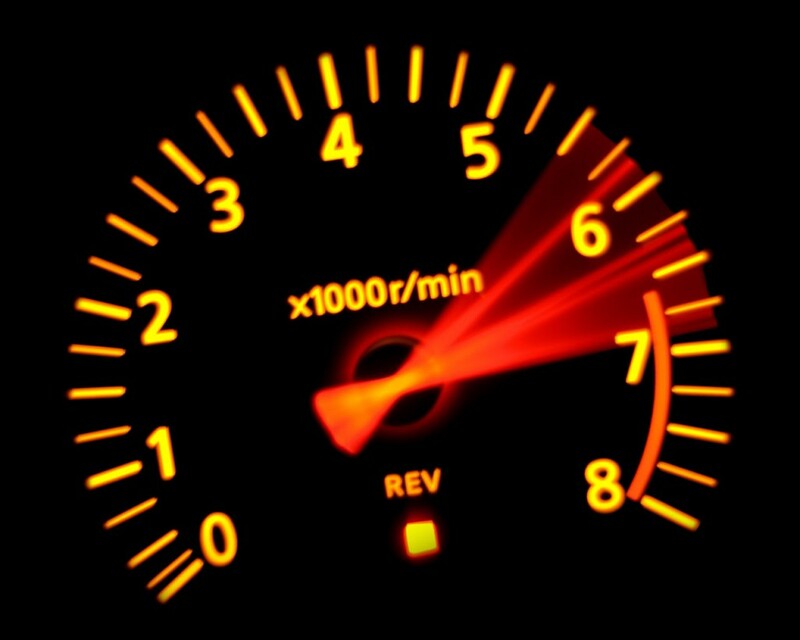 Riding at high speeds for a long time: Riding at high speeds for a long time means keeping the engine revving high. Revving the engine high for a long time will keep the pistons moving and the combustion of fuel takes place without a break. Its best to stop the engine and let it cool for about 10-15 minutes and carry on while taking break intervals thereafter. Engine overheating in motorcycles and cars may happen due to a lot of reasons. There are times when your engine may seize if the cooling is not taken care of correctly. Regular checks from the mechanic will keep your engine happy and running without a mess. These above tips will definitely increase the engine life by a considerable amount. For more automobile tips, like us on Facebook and subscribe to us on YouTube. Also follow us on Twitter.